Treatment Of Parkinson’s Disease Still Fragmented - 2019 INSIGHT Into PD UNITES! Melissa McConaghy, Founder of PD Warrior and the Curator of the world’s first online Parkinson’s Disease Summit says the future of health promotion and patient education for behaviour change must be online. She says, we hear about the celebrities such as Billy Connolly, Michael J, Fox and of recent Neil Diamond all diagnosed with the disease, but what about the mums and dads, grandpas and grandmas who do not have the benefit of knowing where to go to get further information on the Disease or have the resources to travel to expensive conferences. Although huge scientific advances have been made into the disease, treatment and knowledge into the causes of Parkinson’s disease is still fragmented and we want to bring all the stakeholders together to empower people with Parkinson’s disease. It is just like a big jigsaw puzzle, there is still so much to learn and indeed further research is under way by many great institutions. According to the World Health Organisation ‘Neurological Disorders – Public Health Challenges: ‘There are wide gaps in different aspects of Parkinson’s disease care. The ﬁrst has to do with education and awareness. Knowledge and information about Parkinson’s disease is nowhere near as comprehensive as that available for vascular disease or cancer, despite being one of the most frequent neurodegenerative disorders affecting roughly 1% of the population over the age of 65 years. Another very important gap is that related to present limitations of therapy; lack of effective preventive treatments, lack of restorative treatments, and lack of effective therapies to prevent or symptomatically improve long-term complications, both motor and non-motor. The PD Warrior, INSIGHT Summit hopes to address some of these challenges by providing access to education and expert insights to help patients take at least some control of a disease that is progressive. It will enable people with Parkinson disease and their carers to connect with leaders in the field as well as other people who are also trying to live their best life possible. A virtual exhibition will support the summit program. 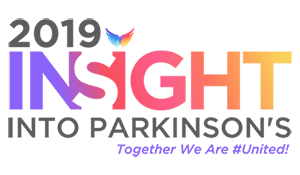 ‘INSIGHT’ brings together leaders in the health care profession, researches and influencers in this space to showcase and interpret the explosion of information available now for people living with Parkinson’s. The event features nine topic streams including: exercise and neuroplasticity, research updates, motivation and perspective, alternative therapies, mood and cognition, education and advanced therapies, latest technology, clinical updates and community connections and lived experiences. The INSIGHT Summit pioneers a new way for patients to access disease and health education using technology in a virtual conference medium. The Summit is broadcast for three days and can be streamed direct into patients’ homes using any internet enabled device. Access is available for 30 days post the event enabling people with Parkinson’s to catch up on sessions they are not able to watch during the broadcast. The event costs $99 to attend with all proceeds benefiting the Shake It Up Foundation. The Summit has partnered with many of the national and international Parkinson’s disease organisations to deliver the content including the Michael J Fox Foundation who has to date successfully raised almost a billion dollars for research into Parkinson’s disease, The European Parkinson Disease Association, World Federation of Occupational Therapists, Parkinson’s Australia, Parkinson’s UK, Push Up 4 Parkinson’s US and the #UniteForParkinsons Campaign are also partners. Speakers include: Melissa McConaghy, INSIGHT Summit & PD Warrior Founder, Specialist Neurological Physiotherapist, Clyde Campbell, Shake It Up Australian Founder, Dr Todd Scherer, CEO of the Michael J Fox Foundation and the Hon John Watkins former Deputy Premier of New South Wales who will share his own lived experience of Parkinson’s Disease. A full list of speakers and biographies can be found here.